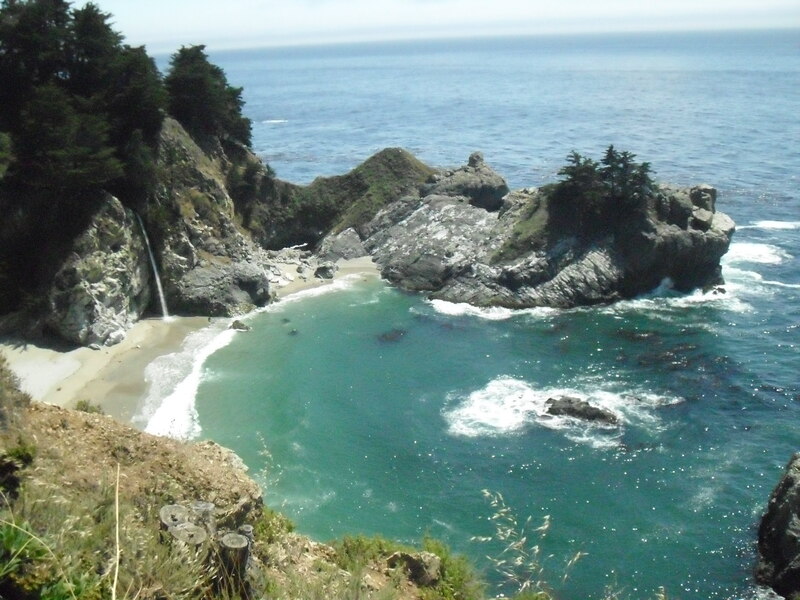 I’m back from the Pacific coast! And I have a whole slew of photos and video clips to share with you. 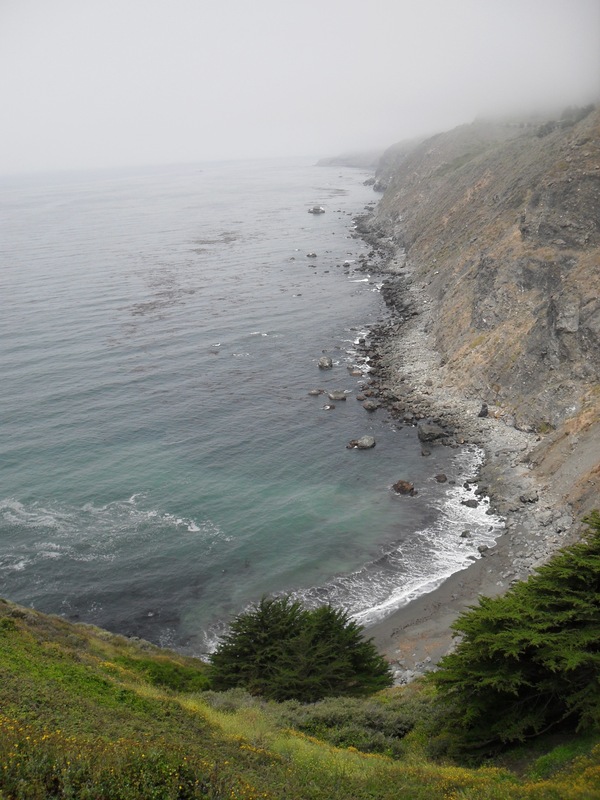 Our first day of sightseeing was spent working our way up along the Big Sur coast via the Pacific Coast Highway. 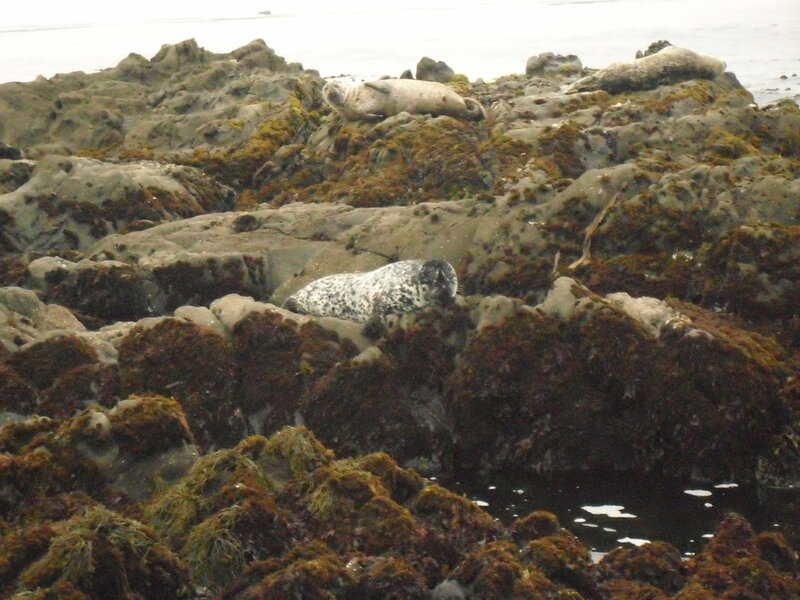 We started out in Cambria, and in the morning after breakfast we went for a walk on the beach and discovered a group of harbor seals hauled out on some rocks. It was hard to get decent photos of them, but believe me, they were cute. There were signs warning against disturbing the seals, but they clearly weren’t the least bit disturbed by the people clambering out a little way onto the rocks for a closer look: a few glanced sleepily at us before returning to their naps, and one was curious enough that it actually flopped down into the water and swam across the space separating our rocks from their rocks, popping his head out above the surface practically at our feet and looking up at us. 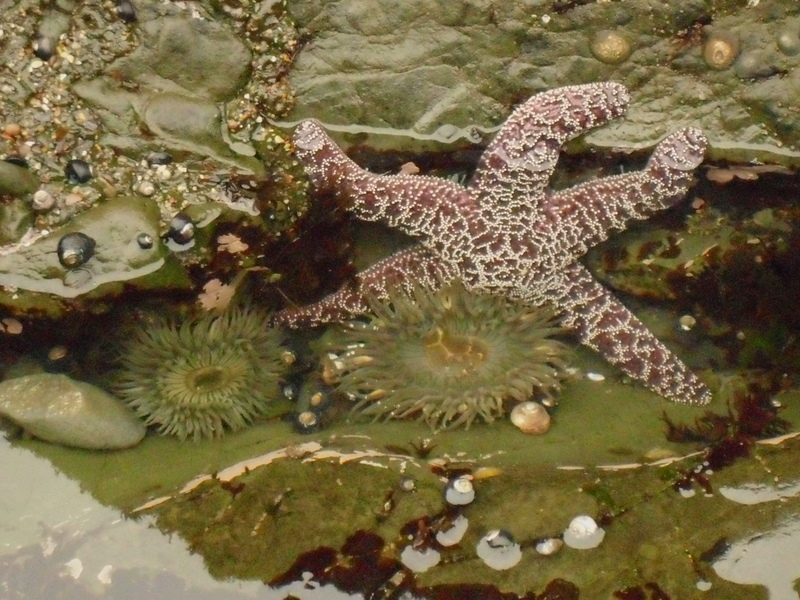 We also happened to glance down at one point and notice that between the rocks we were standing on were some pretty awesome tide pools, full of sea stars and anemones. 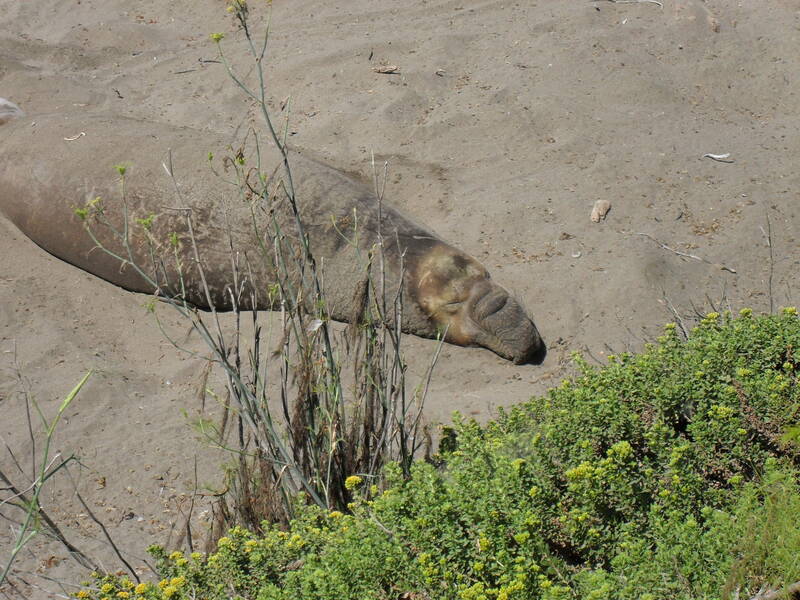 A short drive up the coast we scored our second marine mammal species for the day: elephant seals! Elephant seals used to be hunted extensively were actually believed to be extinct at one point, until a last remaining population was discovered on an island of Baja California. 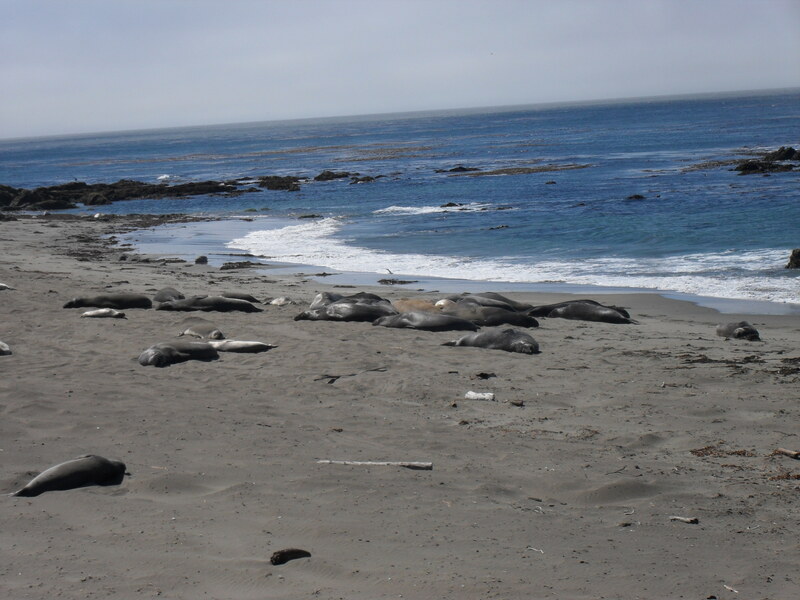 Their numbers have since recovered and now they breed along the California coast. At this time of the year only young males are on California’s beaches; apparently they come there to molt. For “young” males, these were some really massive animals, many times the size of the harbor seals. Every now and then a couple would rear up and start practice-sparring with each other, long snouts swinging in every direction. One of the biggest ones was asleep practically right under the boardwalk. But the day’s adventures weren’t over… to be continued!